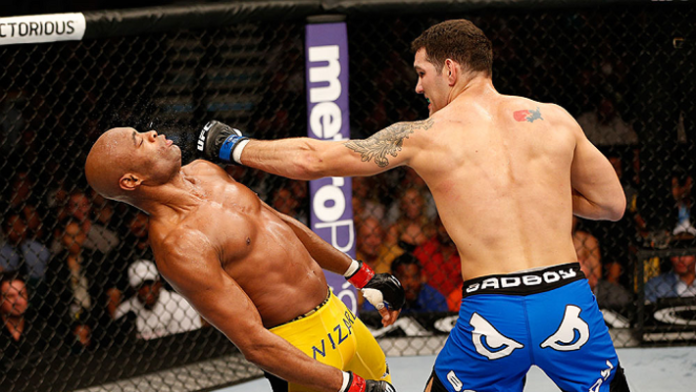 Former UFC middleweight champion Chris Weidman shoots down a possible trilogy fight with Anderson "The Spider" Silva. Weidman became the first man to beat Silva in mixed martial arts (MMA) competition in six years back in 2013. His knockout victory over Silva ended his lengthy middleweight title reign. In their rematch several months later, Silva suffered a gruesome leg injury that sidelined him for just over a year. Since losing to Weidman, Silva has only won one (one being a No Contest) of his last seven fights. Several fantasy bookings were tossed around in the post-fight press conference. Names like Conor McGregor, Chris Weidman, and Nick Diaz were mentioned. However, in regards to a trilogy bout with Weidman, it doesn’t look like that fight will be happening. Do you think Silva and Weidman should rematch for a third fight?